The push is on to turn our households into energy efficient homes. It’s never been more top of mind thanks to some dramatic changes in our climate and the genuine realisation we can use less resources, save money and still live well. At Form Homes, we always begin with the outstanding green credentials of our modular sustainable homes. We’ll get to those wonderful facts soon. We also know that by using appliances and lights more astutely, we can do our part to save energy. Swap old-style halogen light bulbs for energy saving LEDs. They last about 20 times longer (that’s about 11 years!) and emit no heat, unlike the old bulbs that chew through electricity. Plant a deciduous tree or three. They are still the best method to shading a home in summer and will drop their leaves in winter, so you let the sunlight in. Increase and improve your home insulation. Check ducting for cracks, block small openings around windows and doors and add extra insulation to retain heating and cooling better. Install a smart power board. When a device is in standby, the smart power board will reduce the power being fed to that device without affecting the others still operating. Upgrade old appliances. A newer model usually means far less energy consumption. Turn off anything, not in use. When in standby, it still uses power. All great solutions but we’ve saved the best energy saver for last – our amazing pre-fab sustainable homes. As energy performance goes, the savings are unique and numerous. Reduced impact on the home site – as about 95% of the home is pre-fabricated in a factory, there is far less disruption to the home site environment. Mass produced to standard specifications – this makes it a fast, ordered process with all timber pre-cut to the exact dimensions, resulting in less waste and off-cuts. More air-tight than a standard home – because it’s built to precise factory specifications. Built in a central location – ensuring efficient use of energy and resources and decreasing the amount of vehicle trips to the home site. 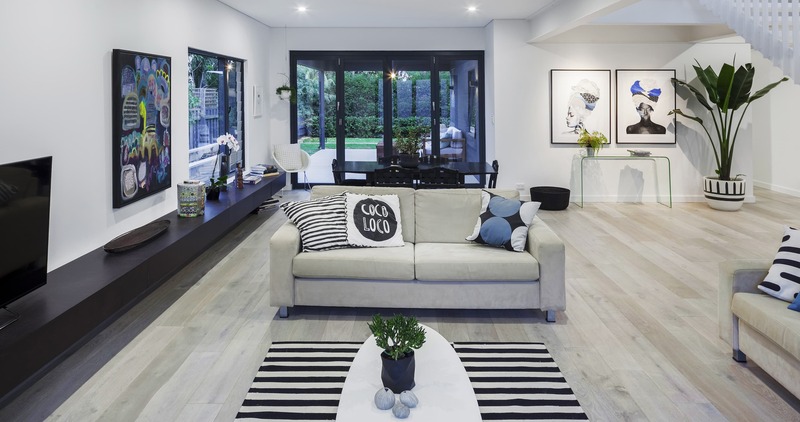 A passive design makes an energy efficient home – the home is designed to allow more light and beneficial environmental factors in, whilst avoiding the harsher elements. Re-purposing options – able to be reshaped over the years for the changing cycle of family life. Compared to a site-built home, pre-fab sustainable homes start ahead of the energy saving game purely because of their method of construction. Once completed and you’ve moved in, our low energy appliances ensure you get the best performance from your energy efficient home. In terms of using earth’s finite resources wisely, what used to seem hard is now achieved daily – both by you in the smart use of what’s at your fingertips, and by us in delivering highly-performing, energy-efficient homes of the future. If this article has fuelled your excitement about sustainable modular homes, join the club and give us a call – we’d love to help you with your energy efficient housing design.